How Long Does Weed Stay In Your System: Urine, Blood, Hair, Saliva? Weed Half-Life: How Long Does Marijuana Stay In Your System? There is no single, strictly-defined window for marijuana detection. Although it’s a common belief that 30 days is enough to get clean, in reality, it’s not as simple as that. So how long does marijuana stay in your system? Many variables influence whether or not one’s cannabis consumption can be detected, and when. You will find a general guide on how long weed stays in the body here, but keep in mind that these factors vary from person to person. Which Cannabis Compounds Stay in Your System? How Can Pot Be Identified in System? What Factors Influence Marijuana Presence in Body? Does Second Hand Smoke Stay In System? How to Flush THC From Your System? Is It Possible to Fool the Test? 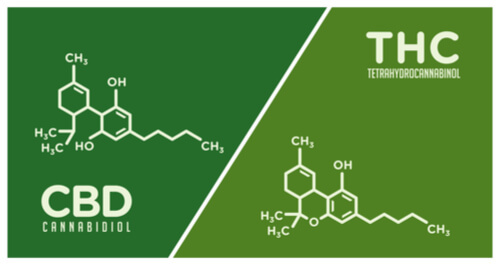 There are many different names for marijuana; however, the compounds responsible for cannabis high are the same: tetrahydrocannabinol (THC), cannabidiol (CBD) and their metabolic byproducts (metabolites). Most drugs have water-soluble ingredients, so drinking water theoretically helps to flush the drug out of your system quicker. But that is not the case for marijuana metabolites. All of its chemicals are fat-soluble, meaning that they accumulate in fat cells throughout the body, and water will not help to eliminate them from the system. After the liver processes the primary compounds of cannabis, they are divided into metabolites. THC, for example, produces the metabolite 11-nor-delta9-carboxy THC-COOH. These metabolites, being fat-soluble as well, can stay in the system for weeks and even months. They can remain dormant in fat cells and become reactivated as a result of the person’s behavior (e.g., running, changing your diet). What this means is that you can turn out positive even if you’ve only smoked a small amount of weed, and was in recent weeks. Drug checks have two purposes: 1) to verify present cannabis intoxication, or 2) to check if the person has smoked pot in the past. For immediate intoxication, the examinations look for THC in the blood or urine. For past use, tests look for THC metabolites in the hair or urine. After inhaling cannabis smoke, THC levels rise for several hours. During that time, the presence of THC in the user’s body is easily detectable, even after a single inhalation. THC (or THC-COOH) concentration drops over time, but remain detectable for quite a long time, even after the individual stops using marijuana, leading to the question- how long do drugs stay in your system? Choosing a test. Each of the screening has its own advantage. But the Substance Abuse and Mental Health Services Administration (SAMHSA) recommends the urine analysis, so that test is typically applied. Choosing a sensitivity. The experimenter must determine the cut-off concentration (the threshold level) of the researched substance. The conventional cut-off for urine analysis is 50 nanograms per milliliter. But they can vary between 15-100 ng/mL. In fact, examiners often repeat the urine exams. The first time typically has a cutoff of 50 ng/mL, and the second examination, as a confirmation of the first, usually has a cutoff of 15 ng/mL. Any of these exam methods could be used at any time, hence the need to ensure that the system is completely free of drugs. This leads to the question – how long does it take to get weed out of your system. When it comes to testing for weed intoxication, blood and saliva tests are sufficient. Blood Serum Test– This examination is the easiest to implement. It is often used as an investigative in car accidents. However, THC does not bond with blood cells and does not stay in the blood for long, so it can only check for active intoxication. Saliva Test – This exam is the most recently-developed and is not yet as common as blood check. It is often used by police, however, because it is relatively quick and easy to undertake. The weed chemicals fade from your system after several hours, so this assessment is primarily used in accident investigations. The study of past marijuana consumption utilizes very different types of screening. THC, by that time, will have completely decomposed in its metabolites, so what the tests look for is the THC-COOH molecule. Hair Follicle Test -This exam provides the most accurate results. Its principal benefit is that it can detect traces of marijuana many months after the last pot consumption as cannabis stays in hair for long. A single hair from anywhere on the body is sufficient for a hair drug test. The major inconvenience of the exam is its price – a hair follicle check is the most expensive of all marijuana screening exams. 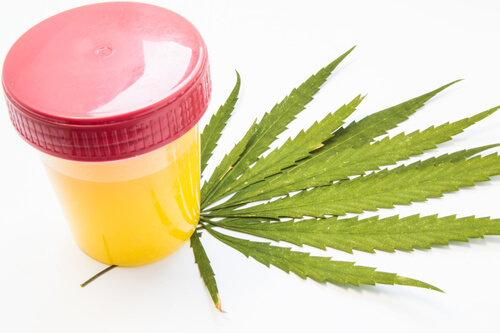 Urine Test – This assessment is the most common method used to screen for the presence of cannabis in your body. The screening is very simple: urine samples are examined in a laboratory and checked according to a chosen threshold level. If the degree of the targeted chemical (usually THC-COOH) is higher than the standard threshold, the test returns positive. Marijuana, due to its high solubility, stores in various fluids and tissues of the body and breaks down at a varying period of time. Detection times for marijuana vary from test type. Cannabis detection in hair in rather unlikely in the case of single use. For both one-time and regular users, it isn’t possible to establish a precise detection window for urine. There are too many other variables that come into play and can modify these results. 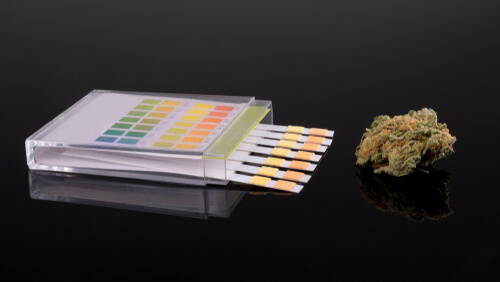 Factors that influence the results of a marijuana drug test include the frequency of consumption, individual physiology, user lifestyle, and the type of compound. Essentially, since THC metabolites are stored in body fat, the amount of body fat a person has determines how long cannabis is detectable. Despite the standards set by the SAMHSA regulating urine analysis, the results can still be difficult to predict. Since each exam type has a different detection window, there are other complications to take into account when predicting how long marijuana can stay in the system. First-time or occasional weed smokers can expect to test positive for up to three days. By day four, no traces of cannabis should be able to be detected in urine below the typical threshold of 50 ng/mL. Regular and frequent cannabis users that consume marijuana for pain from time to time usually can be positive for up to a week after the last use. After ten days, the chemicals for of these people will not be visible at the standard of 50 mg/mL threshold. However, in extremely heavy and long-term use cases, users can find marijuana in their systems for up to 70 days. Every person has a unique physiology and body type. Persons with a high metabolism will process cannabinoids quicker than those with a slow metabolism. Fast metabolisms will rid the body of cannabis metabolites quicker than a slow metabolism. On average, men also tend to flush marijuana out of the body faster than women: this is because physiologically, male bodies contain less fat. With less fat, men’s bodies have less space to accommodate marijuana metabolites than women. Lifestyle choices can be highly influential for the storage time of metabolites in one’s body as well as marijuana half-life. If the body has more fat cells as a result of lifestyle, their body can store more marijuana metabolites, and for longer periods. People who eat a lot of fatty foods and do not exercise will likely store more metabolites than their peers. The standard test usually focuses on analyzing THC or THC-COOH. This means that people consuming a cannabis strain dominated by cannabidiol (CBD), or hemp oil, are less likely to test positive in a marijuana test. Hemp oil still contains small amounts of THC, so if you consume extremely large quantities, you may test positive for THC in your body. You may be positive, even having stopped smoking marijuana several months ago. You may have stopped smoking and have tested negative in a previous test, but in a new one get a positive result for marijuana. There are large populations of dedicated weed consumers who are compelled to engage in the habit of public weed smoking, the conversation then revolves around non-weed smokers who often find themselves in public places where weed smoking is on a high. So a logical question would be “is it possible to test positive for THC through second hand or even third-hand inhalation of marijuana? If yes, how long does THC stay in your blood? Or more specifically, how long does weed stay in your system after second hand or third-hand inhalation? It has been confirmed that second-hand smoking can lead to a positive result for THC. This is due to the fact that exhaled smoke contains reasonable amounts of cannabinoid metabolites which are the main components of weed. This is especially possible in a poorly ventilated room or air deficient spaces. A person who may have been involved in second handing inhalation of smoke- fumes from weed may need marijuana cleanse before going for a drug test. How to Get Rid of THC in Your System? So how long does it take for weed to get out of your system naturally? The half-life of THC is seven days; this means that after seven days, the total amount of cannabis in the system reduces by half. This may not be fast enough especially when one has a drug test scheduled soon. Here are a few tips on how to get weed out of your system fast! Drinking Water – drinking 2-3 liters of water a day before the drug test and 1-2 liters of water few hours before the test is quite effective for urine and blood tests and sure to dilute any trace of drug, flushing out your entire system, however, on the bad side, this may raise eyebrows as there would be extremely low levels of creatinine which is always present in urine. 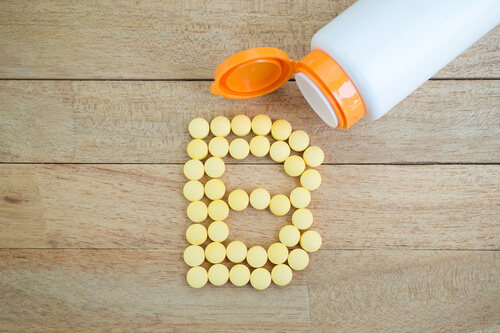 This step can be made to be more believable with the inclusion of Vitamin B.
Vitamin B – to ensure that one’s urine is the natural yellowish color, 50-100 mg of Vit B2 or B12 can do the trick. This should be taken a few hours before the test. Creatinine Supplements – the natural metabolism of muscles in the body yields creatinine as a byproduct which is always present in urine. This makes creatinine a necessary component in every urine, and its presence can be used to determine if a system has been flushed. However, this can be taken care of by drinking creatinine supplements a few hours before the drug test. Detoxification drinks – most of the detox drinks in the market follow the same principles of water dilution, Vit B, and Creatinine levels. Zero exercise – there is absolutely nothing wrong with exercise, it keeps you fit and healthy, except that it doesn’t do much good for your drug test. THC stores in the fatty layers of the system; exercise causes a breakdown of fat, hereby introducing stored THC into the system, making them easy to detect. Thus, although exercising eventually removes the drug from the body, it increases the chances to test positive for cannabis use. These techniques only apply to blood, saliva, and urine tests with the exception of the hair follicle test. Weed stays in your hair for virtually 3+ months. The hair follicle test is difficult to fool, and these hair purifying treatments do not guarantee a negative result on drug tests; however, there has been remarkable feedbacks on effectiveness so far. The ever-recurring question of “how long does it take for weed to leave your system” has led to the search for more effective alternatives for a quick detox. There are so many options and suggestions on how to fool a drug test such as taking large amounts of water, taking Vit B to affect the normal urine color after flushing the system with several liters of water, taking creatinine supplements to ensure that the urine has the right levels of creatinine for a regular urine sample, providing synthetic urine or another person’s urine, bypassing or omitting the beginning and end of urine streams, which may seem credible but detectable by professionals. It is difficult because there are so many other characters and components of urine which are also tested for; hence, these tricks can be detected in a marijuana test. Thus, there is no best marijuana detox but for abstinence from consumption. The hair follicle test is the most unpredictable and most difficult to fool. There is no guarantee on using any product that may likely remove enough metabolites from the hair to get a negative test result. The only certain way to pass a drug test is to avoid marijuana completely, this may not be so easy for pot dependent individuals, the most effective solution would be opting for marijuana addiction treatments. Treating substance abuse requires a lot of commitment and professional help. There are quite a number of facilities today offering in-house treatment and all forms of addiction treatment programs. Many frequent users ask the same question: “does marijuana cause cancer?” There is no certain reply to this question yet as the research is still pending; however, drug addiction can definitely harm one’s health in many ways. Even though marijuana deaths per year are inconclusive because there hasn’t been a confirmed death due to marijuana alone, marijuana still remains a schedule I drug. The more tolerance one builds, the higher the amount of drug required to provide that high. Continual indulgence in the drug increases tolerance, addiction levels, and leads to substance abuse. There are a lot of free drug addiction rehabs, especially in the United States. These facilities provide programs to help you or your loved one get all the help you need. Need help with an addiction to marijuana? Do not give up on yourself or loved one – Give us a call now, on our free helpline (888)-459-5511 for more information. All calls are confidential; take that step to a healthier life today. Addiction Resource » Addictive Substances: The Anatomy of Drug Addiction » Is Weed Addictive? Marijuana Use, Abuse, and Addiction » Weed Half-Life: How Long Does Marijuana Stay In Your System? How much is 15 ng/ml compared to 50 mg? Or how much is 120ng/ml in mg? 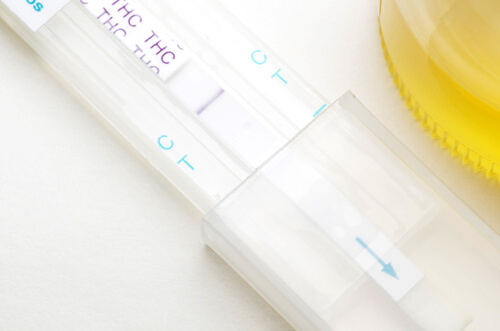 Of thc detected in a urine test. 15 ng/ml (nanograms per milliliter) is 15 millionths of a gram in a thousandth of a liter, which is the same as 15 ug/L (micrograms per liter). I smoked normal weed last weekend and got tested on Thurs day. I have been a regular smoker for years only smoked on weekends for the last 7 weeks and I’m way over weight. My urine test was positive is there any chance that my second test will come under 50ng/ml I told the tester that I was exposed to secondary cannabis. Is there chance I can keep my job? I have a hair test this Friday I hit a blunt one time small puff maybe 2 second hit will it show in my hair test? I don’t smoke at all it’s been about two weeks since the hit? ?